Ok, so it may sound a little odd that I am missing the wooden bird in this picture, a bird I named Jonathan Livingston Seagull more than 30 years ago! I sent him on his way last week, via a transport courier service headed for the National Museum of Canberra, as he is going on tour! I yelled out to the young man who came and wrapped him up safely for travel, please give him a hug! Seriously, I am missing him. I’ve updated what was a lousy photograph, as taken in haste as he was being whisked off to send to the Museum, and I had not thought about how I might feel without him hanging in my office there to remind me I can keep flying, each and every day, in spite of adversity. Thankfully, they will take some professional pictures of him, and send to me, but in the meantime, he is front and centre in my mind. This image has been provided by the National Museum. On Tuesday 8 November, when it was announced I had become the Australian Of The Year for 2017 in South Australia, I had no idea what was ahead. I had a vague idea the media would be interested, and that has certainly been the case. Certainly I did not know I would have to choose an object that meant something to me, to go on exhibition for over a year. 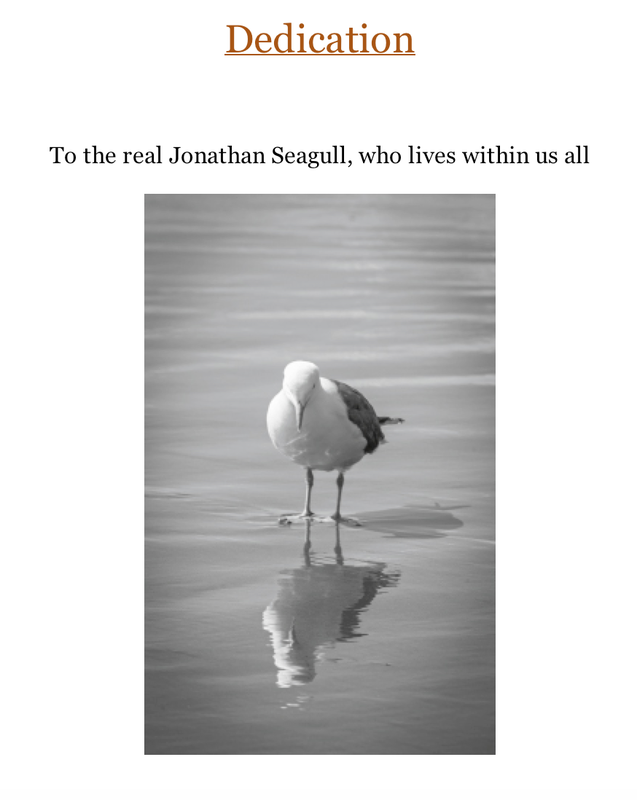 The story of Jonathon Seagull, and my exhibit represents my sense of purpose, my inner drive to stick to what I believe in, and to keep going, when others might stop, or to start, even if I am the only one. It inspires me to fly my own way. I have flown in a different direction, and very often alone, in pursuit of social justice or personal in search of meaning. Each of us to must find our own way, but then, I believe, we each have a responsibility to also use our given talents to serve others. We may have the freedom to love, to choose, and to live every day as we wish, but without real purpose and meaning, there seems little point unless we do something positive with our lives. This wooden bird, bought more than 30 years ago in the Adelaide Hills, and whom I named Jonathon Livingstone Seagull, after the seagull in the book of the same name, with the added middle name, representing one of my favourite songs, also from the sound track to the film of that book. The book and movie remain in my top five as the most meaningful narratives on how to live life. It is a story for those of us who follow our hearts, and who yearn to fly our own way. As it says near the beginning of the book, ‘For most gulls, it is not flying that matters, but eating.” Like Jonathon Seagull in the book, I prefer to fly and I will always speak out or work hard to create change, if I believe it needs saying or doing. Jonathan Seagull represents truth and freedom; he represents flying in the face of adversity, flying even when I am the only one going in that direction. Losing someone I loved to suicide 31 years ago more than took my breath away, it changed my life irrevocably, but eventually for the better. Having dementia has ultimately had the same effect, and in fact has been my third greatest gift in life. Dementia has given me clarity about life that I had not previously experienced, a purpose that I had never felt so intensely before, and a passion to change the world for all people with dementia. Jonathon lives in my soul, and usually hangs in my office up against a window. ‘Jonathon’ is on loan for this exhibition, to empower others to fly on the journey of their own life, regardless of what they are facing. People like Rosie Batty continue to inspire me along the way, but this bird, metaphorically flying his own path, my path, has always been there to keep me going, when I wanted to give up. Even if you are the only person saying it or doing it, but you believe it needs saying or changing, then become the catalyst for the change you want, and empower others to join you. As Margaret Meade once said, “Never doubt that a small group of thoughtful, committed citizens can change the world; indeed, it’s the only thing that ever has.” I firmly believe this is what I am doing through my work with Dementia Alliance International, and hope to improve the lives of all people living with dementia not only in Australia, but also around the globe. Jonathon Livingstone Seagull, and my husband Peter Watt and sons Matthew and Charles are the wind beneath my wings. A big congratulations. Well done to you. I always feel that I am going opposite the current wave in my life! One of my teachers told me ” you seem to be in a period of time in this life that you do not belong to”! However, I felt that fighting for my right to seek the highest truest expression for my self as a human did not go well, instead sadly misunderstood. Follow your heart, listen to the inner sound, have great faith, do not give up and continue your personal-research mission despite the adversities to fulfill the true purpose of your being in this life. We all have responsibilities toward our lives. I hope to be a catalyst for a change and empower others too. Kate, Powerful! You know I have added you to my HERO list! Gosh, it’s a long, long time since I watched the film but was just thinking about it the other day and now your post bringing it to mind again. You are an inspiration Kate and I always think of you when the media state something stupid about living with dementia. Take care. Kate, thanks for firing up all my memories of Richard Bach’s story, one I read as a teenager. It has a message I need to be reminded about, and your post strengthens my resolve to keep working for betterment. My pleasure Howard… it inspires me every day! example 48948; Everyone needs something to inspire them whatever it may be. The groups here support and inspire me. Thank you for sharing what inspires you the most. These articles and videos I find very comforting and inspiring. Everyone on this journey needs something to inspire them; whatever that may be.